The average Brick homeowner paid more in property taxes in 2014 than the previous year, but the rate at which taxes rose in the township was less than both the state and Ocean County averages. Statewide property tax data was released in recent days by the state Department of Community Affairs, providing a basis by which to compare municipalities’ property tax rates and track how they have fluctuated year-to-year. New Jersey’s highest-in-the-nation property taxes have been a contentious issue in the state for years, driven by a controversial school funding formula and the long-standing concept of home rule. The average taxpayer in New Jersey paid $8,161 in property taxes in 2014, up 2.2 percent as a whole. The average tax bill for a Brick Township homeowner was well below that figure, coming in at $6,024 for a home assessed at $292,344, the township’s average. The majority of a homeowner’s tax bill went to support the township’s school district. Municipal taxes and county taxes rounded out the bill, along with smaller levies supporting open space initiatives, the county library system and the county health department. 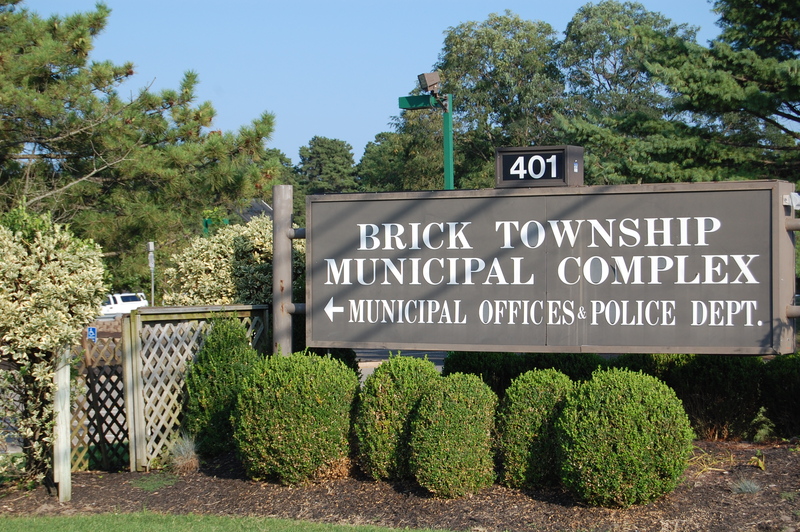 Taxes were up in Brick in 2014 compared to 2013 and 2012 as the township continues its recovery from Superstorm Sandy. Though the township received forgivable loans from the federal government to stem the loss in ratables, the funding did not cover the total amount lost in the storm, which contributed to an increase in the average tax bill of $144 from 2013 (when the average bill was $5,880) and $78 from 2012 (when the average tax bill was $5,946). During the same time period, the average value of a home in Brick declined. In 2012, the average assessment was $303,083 though in 2013 the average was $290,533. The rate by which taxes rose between 2013 and 2014 was 2.4 percent, about the same as the state’s average of 2.2 percent, the data showed. But Brick’s 2.4 percent increase was significantly lower than the average rate at which property taxes in other Ocean County Communities rose: 4.6 percent, according to data compiled by statehouse reporter Michael Symons of the Asbury Park Press. 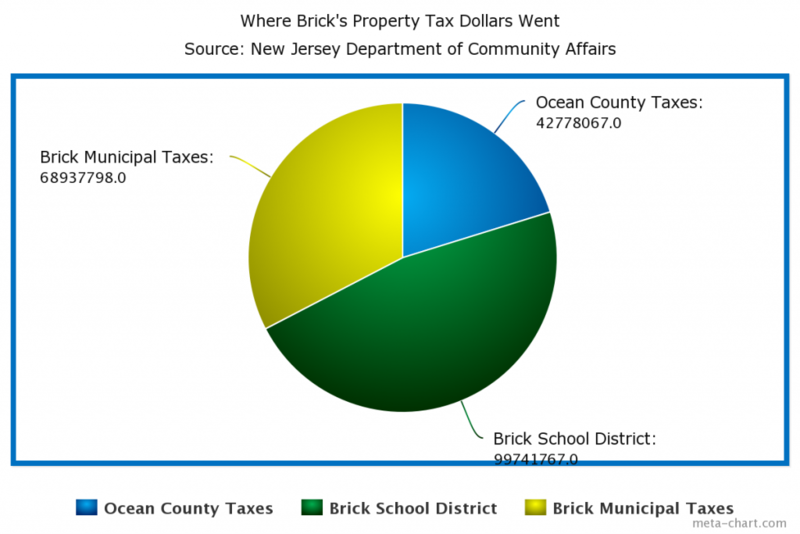 The state data showed Brick’s average property tax increase in 2014 was lower than other large Ocean County municipalities. Toms River’s property tax bill rose by a staggering 14.4 percent in one year, to $5,298. Despite the hike, a Toms River resident’s average tax bill was $726 less than a homeowner in Brick would pay. In Stafford Township, taxes rose 3.5 percent to $5,518, and in Point Pleasant Borough, taxes rose 4.2 percent to $7,098. Mantoloking, devastated by Sandy and facing massive recovery costs in the face of a battered tax base, saw its taxes rise just over 20 percent to $14,223. Brick’s residents paid $42,778,067.98 in property taxes to Ocean County, including library and health department taxes. They paid $68,937,798.12 to Brick’s municipal government. 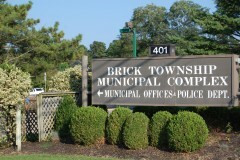 They paid 99,741,767.00 to the Brick Township school district. In theory, there is a chance taxes could be reduced as the township and county’s ratable base returns as homeowners and businesses recovery from Superstorm Sandy. Any potential reductions in the average, however, would be tempered by the increasing cost of health insurance and other benefits to township and school district employees, as well as their salaries. Ocean County and its municipalities may receive relief from the federal government to continue bridging the gap in tax base lost during Sandy, however all government entities will receive less funding than last year. Ocean County, for example, received $5 million in 2013, $4.6 million in 2014, and this year, may be eligible for half the initial award – $2.5 million, Freeholder Director John Bartlett said at a recent meeting. The funding may be held off until the summer. “This funding, if it comes through, the thinking right now is to introduce our budget but not adopt it, and hold it and wait like last year,” Bartlett said.